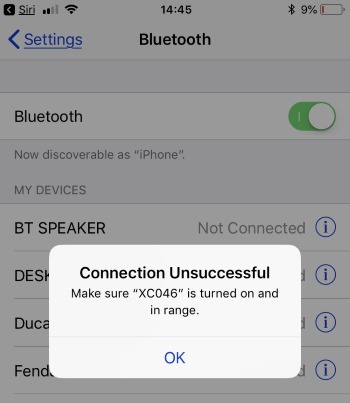 Let’s troubleshoot Connection unsuccessful bluetooth prob on iPhone X/8/8 Plus. Bluetooth is a secure and important function for connecting your iPhone to other Bluetooth devices that control remotely and quickly. To build and use a Bluetooth connection between two devices we need to verify the device using a pin number. Before that many iPhone users getting the error on screen when they tap on name showing in the devices list. iPhone widely uses Bluetooth functionality on different electronic devices like home accessories, Bluetooth speaker, Apple TV, Mac and many other smart devices. Key Tips: Keep your iPhone near as possible to the Bluetooth device. Bluetooth can connect and identify ideal connection of the device within the limited range of distance. Create a new connection between Apple iPhone X/8/8 Plus and Bluetooth Accessories. Turn off the Bluetooth device and Hard reset or reboot your iPhone X, iPhone 8 or iPhone 8 Plus. Have you changed the Bluetooth device name from accessories app or device settings, so you need to rescan the devices around you or forgot old named device (Go to the Settings > Bluetooth > Tap on (i) icon near to name of device > Forgot this device) in Bluetooth list. Apple iPhone uses Bluetooth 4.0 hardware that helps to make the connection between the devices. Also, fix with the latest software update on iPhone and Driver update on your Bluetooth accessories. 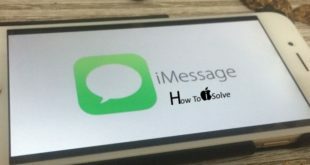 Install new iOS or repair support iOS by restore to factory settings. Open the latest version of iTunes on Mac and PC via lightening cable. Connect your iPhone to iTunes and unlock the iPhone to access in iTunes. Go to Device summary page, Tap on restore button and Go to “Restore” button on Popup. (Process will erase all the content and settings). Hope you get fixed and enjoy Bluetooth functionality, didn’t get help contact at apple support help center via chat, Mobile or call.